Do you know your Sempervivum from your Senecium? Your Adenium from your Aeonium? Don’t worry, that’s why we’re here! To teach you more about the stunning array of gorgeous succulents available at lifestyle. This week we focus on some Kalanchoe varieties. Every week we will bring you some helpful hints, teach you about a few varieties of succulents, and introduce to you some extraordinary plants that are perfectly suited to our South African gardens! Let’s start with the Kalanchoes. (pronounced Ka-Lin-koe-ee) This genus has more than 120 species in the Crassulaceae family. They are native to Madagascar and the tropics of Africa, but they do really well in our gardens. Kalanchoe Orgyalis (pictured on the left) is known as the Copper Spoon. It prefers morning sun and afternoon shade. 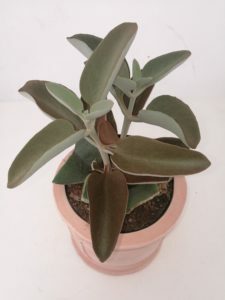 It has stunning brown spoon shaped leaves and silver undersides. 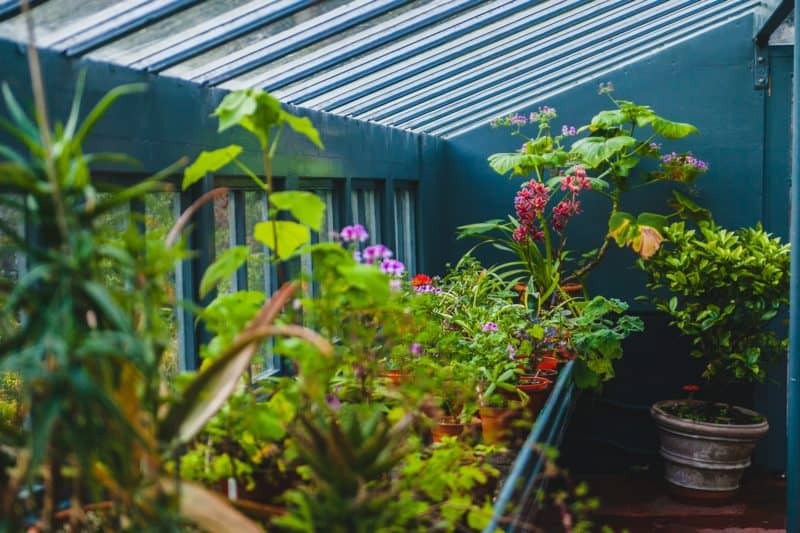 It makes a striking contrast to red, yellow and bright green succulents when planted in the ground, and is also beautiful planted en masse in a bright pot as a feature. Kalanchoe Luciae, (pictured on the right) or Thyrsiflora, is a fleshy plant. It’s leaves vary from thick green with red tips, to longer more curved leaves with no red variation. The tips of the leaves thin out to fine edges. It is a monocarpic plant, which means that it flowers once and then dies. There is a long lifespan for the plant before this happens, typically seven years or longer. The Luciae adores full sun and will cope well in the hotspots of your garden. 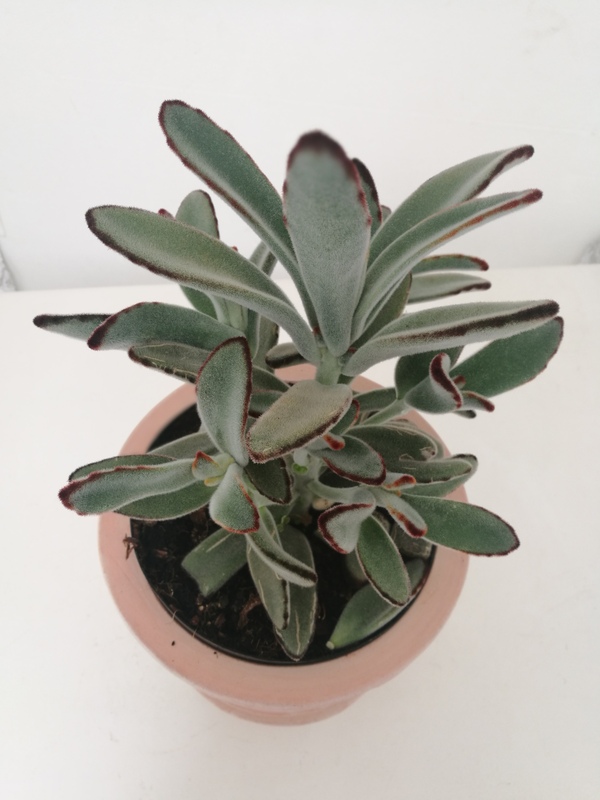 Kalanchoe Tomentosa (pictured on the left) is fondly named the Panda plant for its fuzzy appearance. If its leaves are a burnished brown, it is the Chocolate Soldier variant. This plant does well in full sun to semi shade. 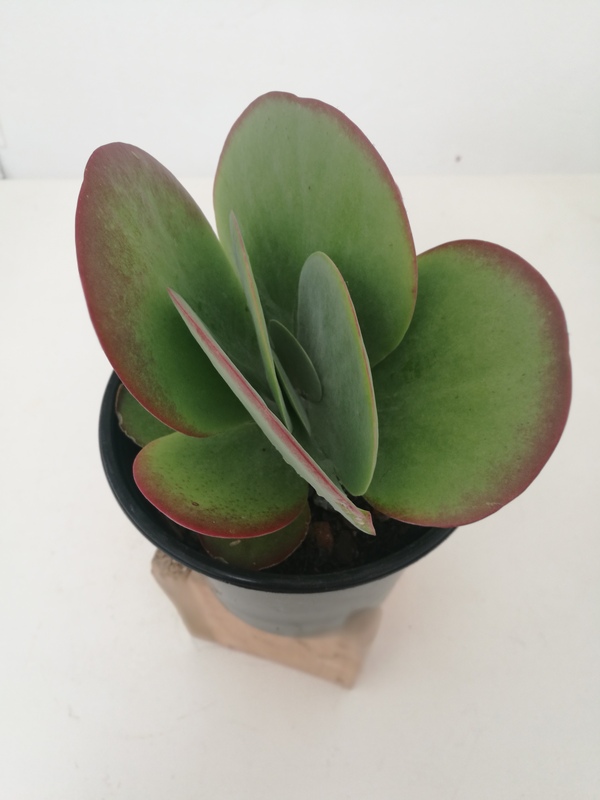 As with all of the Kalanchoe varieties mentioned above, these succulents need well draining soil. Interesting fact! Kalanchoe is a plant variety that has been sent into space. In 1971 it was sent on a re-supply to the Soviet Salyut 1 space mission. How’s that for out of this world! Succulents love well drained soil. Include some rocks in the bottom of pots, or mix some vermiculite into your soil if it’s on the dense clay side. Alternatively use our variety of ready-to-use cactus and succulent soil mixes, which will provide good drainage and aeration. Whilst fertiliser can improve colour, during winter it is not necessary to feed succulents. Watering succulents should take no time. A light sprinkling in the early morning or evening in hotter months, but now in winter is the time that they go dormant, and less watering is needed. Once a week is more than enough. We hope you enjoy reading about the various Kalanchoe types. Tune in next week to learn more.